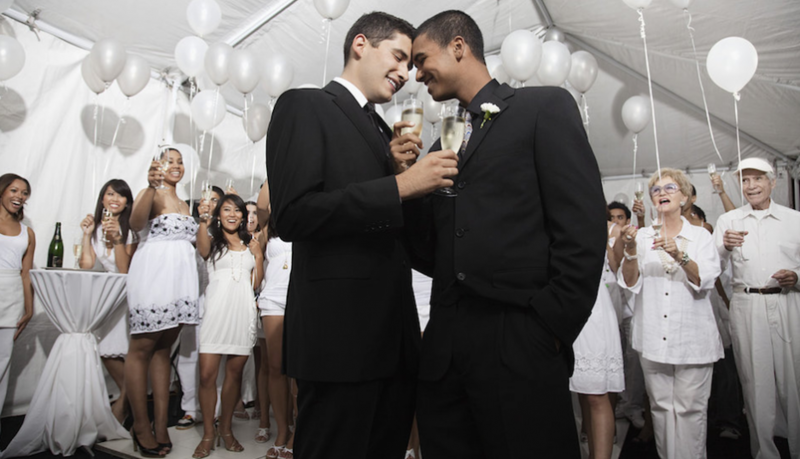 By Bryan Buttler·	 11/11/2014, 10:40 a.m.
We all love Pinterest, and there’s quite a few fantastic ideas, pictures, and concepts that can provide some awesome inspiration when planning a gay wedding. 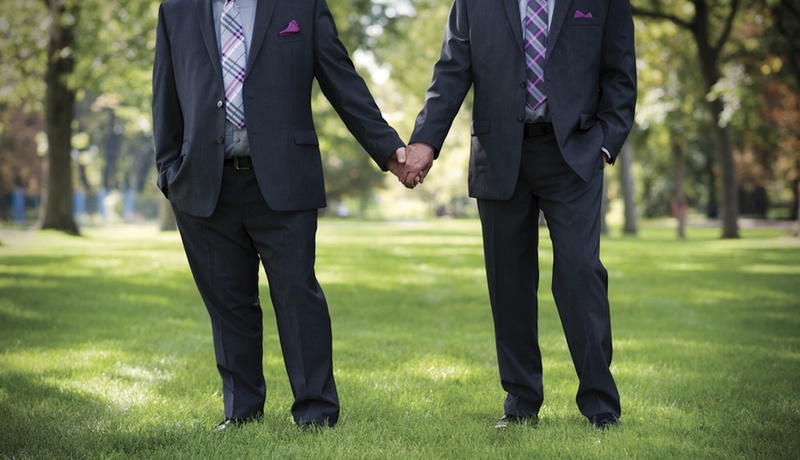 We picked our top ten favorite pins that will give our soon-to-be wed gay couples some fabulous ideas that they can incorporate into their own celebrations! 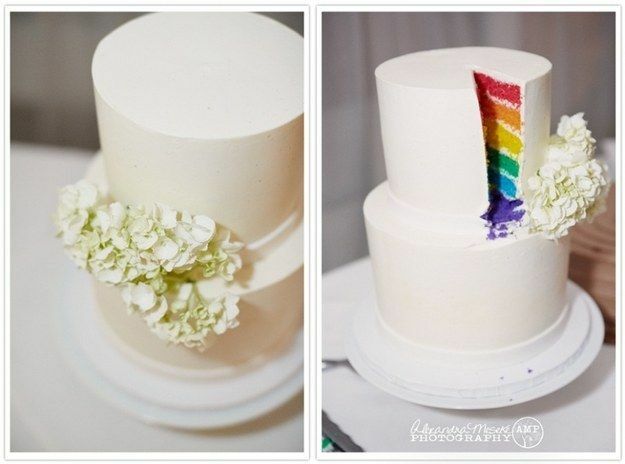 What looks like a standard elegant white wedding cake reveals a surprise when you cut it open: a rainbow! 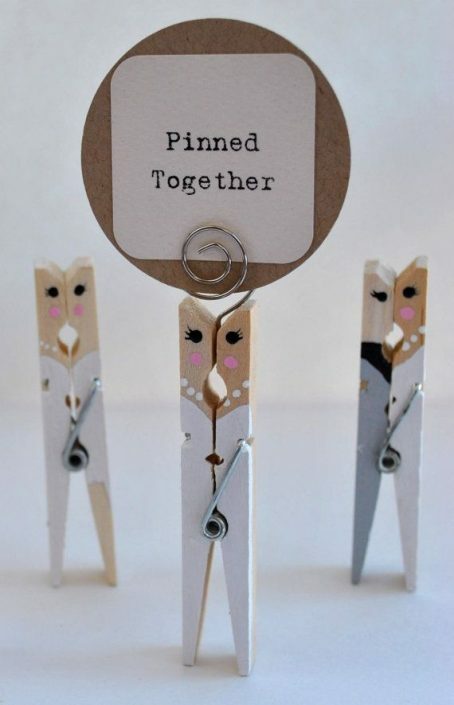 These memorable homemade clothespin brides are sharing all their post-wedding bliss; what a great craft idea to send home with your guests to remember your special day. 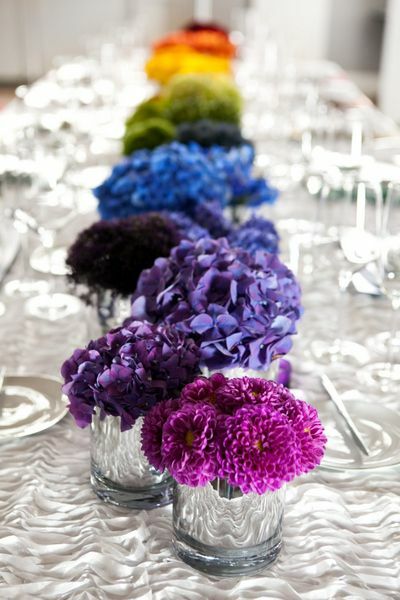 These bunches of flowers, arranged in a rainbow pattern on a table, are such an understated yet gorgeous way to celebrate pride at your reception. The Cat In the Hat would be proud of these totally adorable Groom 1 and Groom 2 buttons. 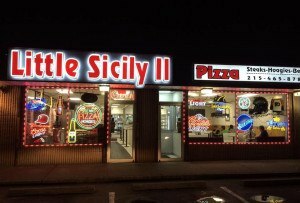 Quite an accent for those proudest of proud brides. 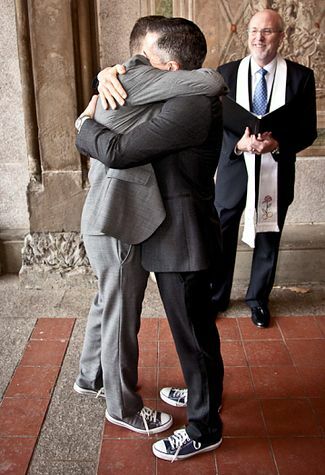 These two dapper grooms look totally awesome with their suits and Chucks. We are totally digging this look, not only for weddings, but for any occasion. 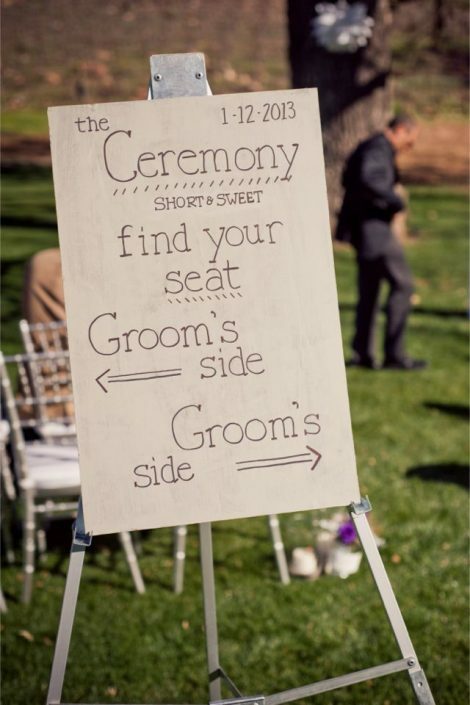 This is just too cute, and super simple to craft: made from a piece of aged wood (or, a simple poster board) that is attached to an easel. 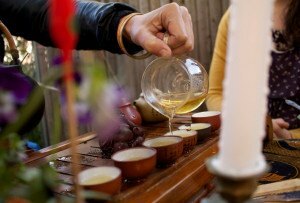 What a great way to lighten up the mood before your ceremony even starts. 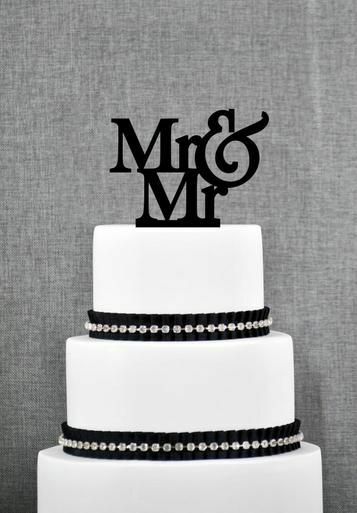 We love this Mr. and Mr. Cake Topper: it is simple, elegant, and, in true gay form, all in black. For $30, it’s a great affordable detail for your special cake. 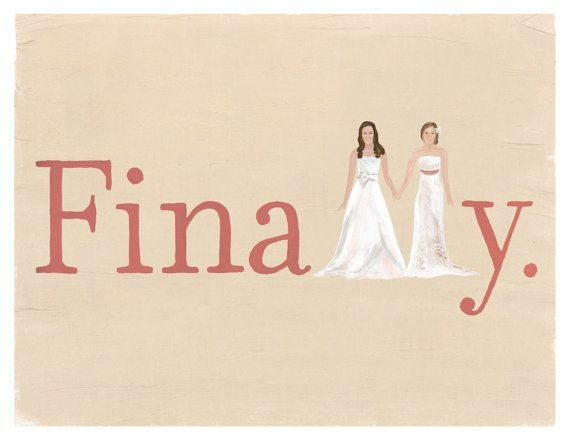 How lovely is this handmade wedding invitation featuring two brides? 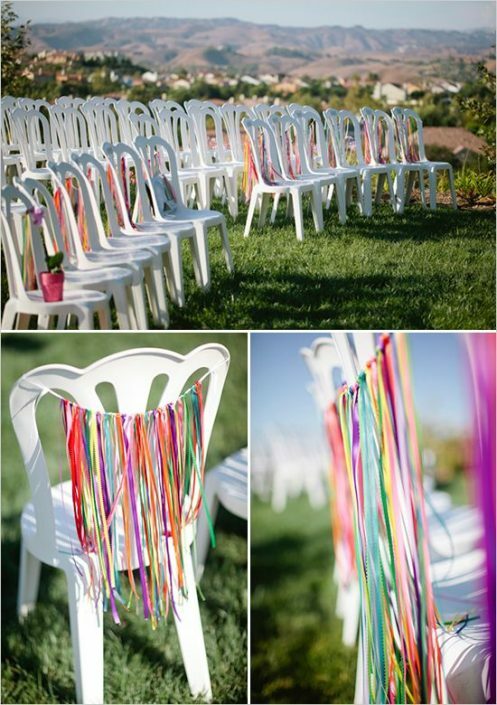 This is a quick, affordable, and festive way to rainbow-up your ceremony: simply attach various colors of strings along the back of your guests’ chairs. 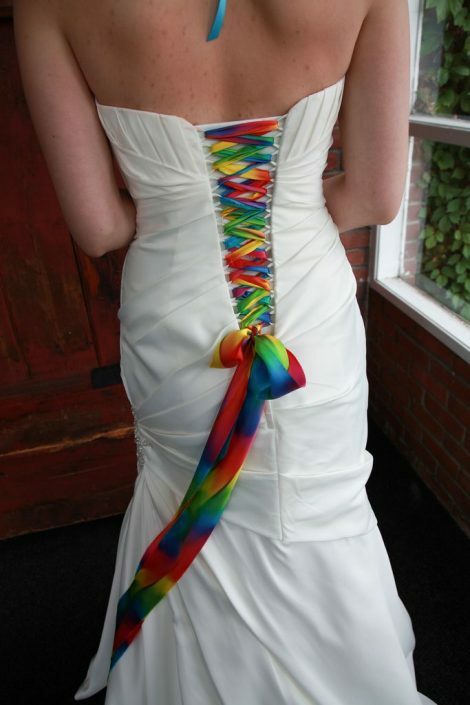 Not only is it easy, it adds that pop of gay to your special day.